We have always believed in information and collaboration, leveraging technologies and innovations offered by the market, which is why we offer our customers a free information space, up to date on topics related to our production and our fields of action, where you will find solutions, tips, get all the answers to your questions and the possibility of a rough draft or a free estimate. 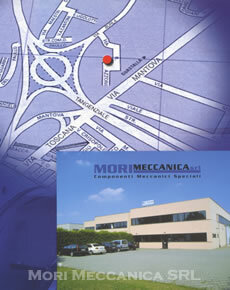 The headquarters and administrative offices and technical society are easily accessible from the motorway A1 (Milan-Bologna) exit Parma Centro; by Giuseppe Verdi airport or railway station. By appointment, arrived in Parma, we will see you in here. Our telephone number, our fax and our Internet server to manage domain and e-mail is active 24 hours on 24, we will always be available for info and contacts. Below you will find everything you will need for us. » Capitale Sociale in Euro €. 26.000,00 I.V.